It’s easy to mistake Aphra‘s Rebecca Waychunas as an intensely somber, serious individual. Her 2017 debut, Sadness Is a Gesture, navigated waters of emotional catharsis overtop evocative soundscapes and moody melodies. Hearing her talk about losing both of her parents in 2017 adds an additional weight to the music. If you’ve ever met the Philadelphia singer, songwriter, producer and multi-instrumentalist in person, you’ll know something else about her: she’s hilarious. She’s full of joy and optimism, drive and determination to make art that reflects the experiences she’s been through. But the grieving process is never a straightforward thing, and Aphra’s new music video for “Honey” — a song we first heard in her Key Studio Session a year ago — navigates its tensions and complexities, its feelings of anger and resentment, as we see Waychunas performing a gripping modern dance in a dimly lit room, where two characters reach various points of personal conflict. The video was choreographed by Megan Matuzak and filmed by Ella Miller and Tim O’Donnell at Underground Arts. The Key’s Philly Music Showcase returns to MilkBoy for our second installment, this month bringing together luminaries from the city’s electronic pop and hip-hop scene. We’ll hear from headliner Ivy Sole in our latest Key Studio Session a little later this morning, but right now we’d like to remind you how much Aphra rules. The project of singer-songwriter-producer Rebecca Way released its dazzling debut Sadness Is A Gesture earlier this year; it’s a set packed with beautiful arrangements and heartrending emotion, which you can see on display in the brilliant “Geronimo” video below. Also in the mix is Cheeky, the like-minded project of local composer and writer Kaylee Sabatino. Tickets for the show are only $5, so it’s a solid deal all around; more information can be found at the XPN Concert Calendar. This summer, we’re bringing some of our favorite local artists to the stage of MilkBoy in Center City for The Key’s Philly Music Showcase. Last month, we announced the inaugural gig on July 26th — a rock-forward lineup featuring Resilient, Honeytiger and The Vernes. Today, we bring you the lineup for show number two, which veers in an electropop / R&B / hip-hop direction. To kick off the month of May, the folks at NPR Music brought their #TinyDeskContest tour to Philadelphia for a terrific night of music for a sold out crowd at World Cafe Live upstairs featuring some of our favorite artists from the city: high-energy hip-hop bands Hardwork Movement and ILL DOOTS, ethereal electronic singer and songwriter Aphra and expressive rockers Maitland. Check out scenes from the night below, care of our photographer Rachel Del Sordo. Earlier this month, the team at NPR Music announced the return of its Tiny Desk Concert to Philadelphia. Set for Tuesday, May 2nd at World Cafe Live upstairs, it showcases standout local participants in the 2017 contest: hip hop big band Hardwork Movement as well as the like-minded ILL DOOTS, and today we bring you news of two additional artists. Joining the bill is Aphra, the emotive electropop project of singer/songwriter/producer Rebecca Way, which released its debut LP Sadness is a Gesture this winter via startup Bay Area label Inherent Sounds. Also performing is Maitland, the anthemic rock outfit of singer and songwriter Josh Hines; they have a new album en route this summer, and just recorded an impressive Key Studio Session. We’re super thrilled with Sadness is a Gesture, the debut record from Philly electropop artist Aphra, which came out last week via Bay Area upstart label Inherent Sounds. There’s a limited edition clear vinyl version on the way, but tonight Aphra celebrates the moving collection of songs about heartache, addiction and finding inner strength tonight at The Barbary. Tickets and more information can be found at the XPN Concert Calendar. 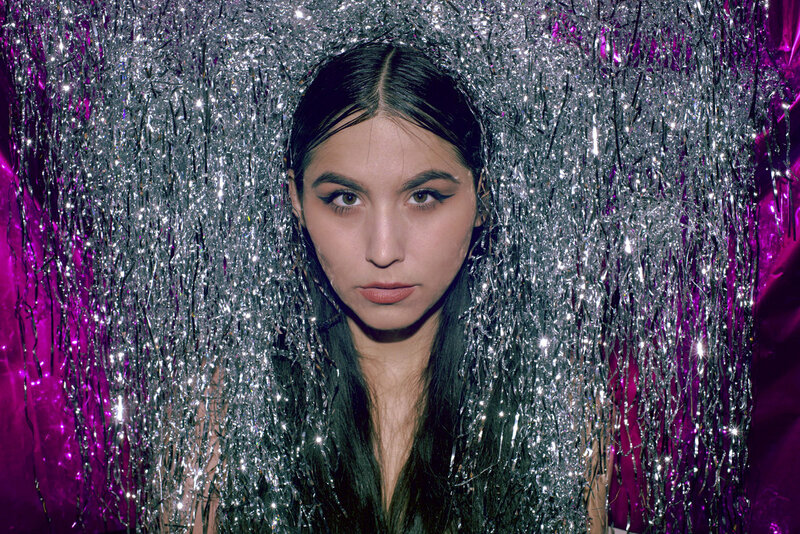 Local indie pop singer and songwriter — better known by Aphra — released her highly anticipated new record Sadness is a Gesture last week, a synth-laced experimental pop effort filled with heart, soul and heartbreaking experiences. Philadelphia’s Rebecca Way writes songs about heartbreak in her electropop project Aphra — but not that kind of heartbreak. This is a pain that runs deeper and isn’t as easily cured; this is a pain that all the cheery well wishes in the world don’t do a thing to soothe; this is cutting, existential and scary, and these are the feelings Aphra is turning into compelling art.